Sanofi and Google announced and agreement to work jointly on diabetes projects report Boolmberg and Wall Street Journal report and a press release. SAN DIEGO--(BUSINESS WIRE)-- Dexcom, Inc., (NASDAQ:DXCM), a leader in continuous glucose monitoring (CGM) for patients with diabetes, announced today that the U.S. Food and Drug Administration (FDA) has approved the Dexcom G5® Mobile Continuous Glucose Monitoring (CGM) System. With wireless Bluetooth® technology built into the device transmitter, the G5 Mobile CGM System is the first and only fully mobile CGM system approved by the FDA for both adults and children as young as 2 years of age that sends glucose data directly to a smartphone, freeing users from the need to carry a separate receiver. The new transmitter securely sends vital glucose information directly to an app on iOS-enabled devices for real-time diabetes management. Android applications will follow early next year. Like its predecessor, the G4 PLATINUM CGM with Share, users can also select up to five designated recipients, or "followers." These followers can remotely monitor a patient's glucose information and receive alert notifications from almost anywhere. 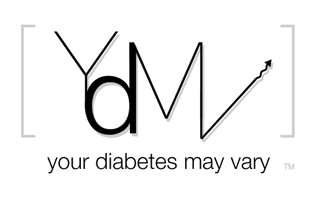 "Dexcom is rapidly advancing technology for continuous glucose monitoring devices to improve diabetes management. Since January, the company has introduced the G4 PLATINUM CGM with Share, apps to enable the first CGM on the Apple WatchTM and now the Dexcom G5® Mobile CGM. These advances are making diabetes management more convenient and flexible than ever before," stated Kevin Sayer, President and Chief Executive Officer of Dexcom. "We are excited for the promise this new technology holds for patients and caregivers." ... before I check out for the weekend. All are about pregnancy and diabetes. So they don't apply to me but they are wonderful efforts, doing good things and they should get shout outs. 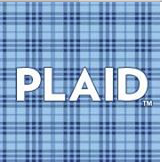 PLAID is cool. PLAID is an open access, peer-reviewed, research journal that aims to encourage dialogue among people living with and inspired by diabetes. They're doing an issue on "Pregnancy & Diabetes." The deadline for submissions is September 15, 2015. JDRF has a lovely toolkit for pregnancy and Type 1 diabetes. "This guide provides information for parents-to-be or future parents-to-be with T1D—explaining the disease management goals for pregnancy and reviewing how to obtain the best possible support from healthcare providers at every stage." 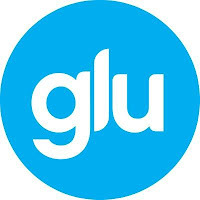 MyGlu has a survey about preconception, pregnancy, and childbearing at http://bit.ly/glusurvey Help them out, take the survey.